Hydro excavation is a safe, fast, cost-effective and non-destructive method of excavating and removing or moving soil. 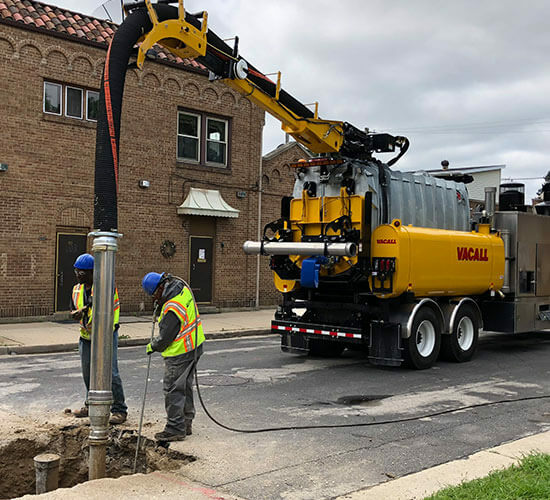 It’s precision makes it an ideal alternative for locating and working around underground utility lines and exposing underground infrastructure. Hydro excavation also requires less labor and backfill, and has less environmental impact than other methods of excavation. 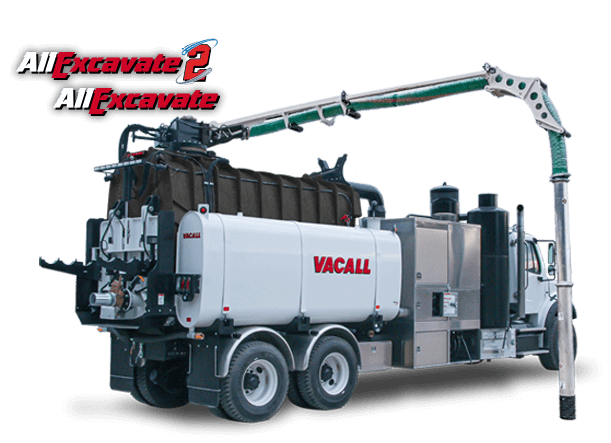 Vacall ‘s AllExcavate hydro excavators feature the superior water pressure and vacuum forces required for efficient excavating in applications where precision is critical. 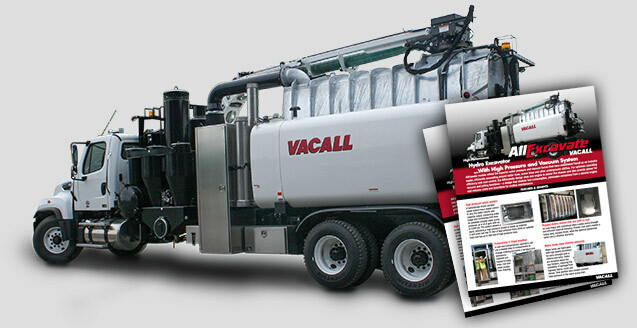 Vacall’s AllExcavate hydro excavators feature the superior water pressure and vacuum forces required for efficient excavating in applications where precision is critical. 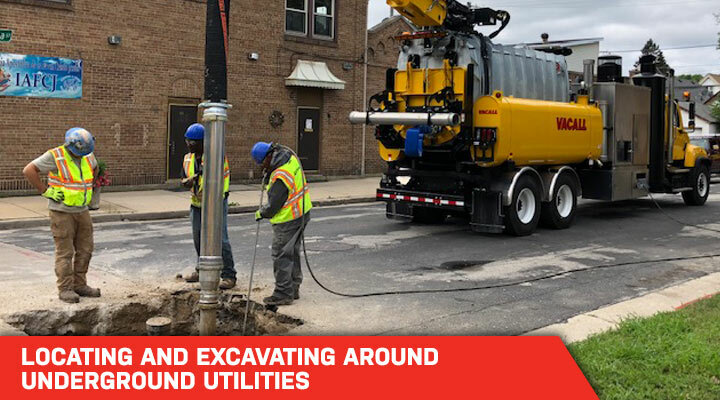 Hydro excavation is a safe, fast, cost-effective and precise method of locating and exposing water lines, sewer lines and other underground utilities. Not only is it a more accurate method of excavating, but it also can reduce the chance of damaging buried lines by more than half. 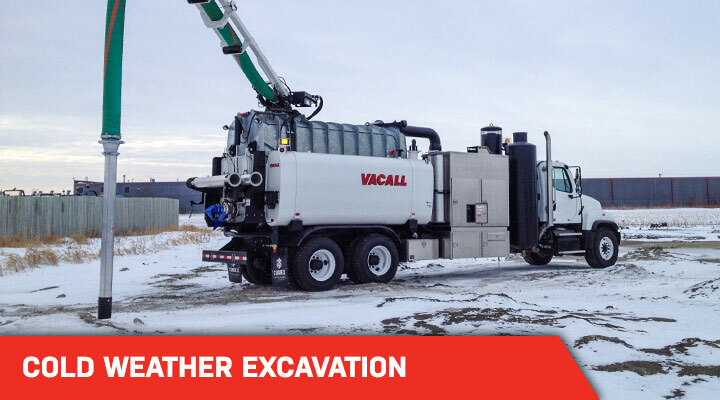 Performing hydro excavation with the Vacall optional cold weather package, the water being used is heated, and eliminates the chance of damage to traditional excavating equipment from the frozen soil. 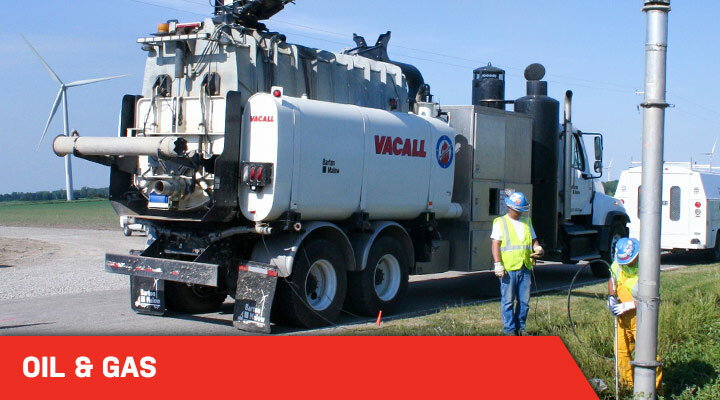 Hydro excavation serves many roles at oil and gas drilling sites. 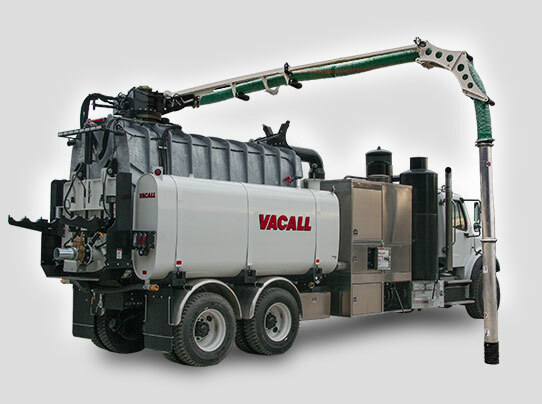 In addition to being used to safely expose underground infrastructure, Vacall’s AllExcavate models can be used to clean frac tanks and vessels, clean drilling rigs and prepare surface areas for tie-in installation and repair.